Pagosa Springs is home to the Pagosa Center for the Arts and their year-round professional theatre company, Thingamajig Theatre. Our vibrant local theatre culture continues with Pagosa's community theatre, Curtains Up Pagosa. A newly formed Pagosa Arts Council continues to foster local artisans with curated shows. Independent artists abound! View their work in many galleries throughout town. In addition to classic arts, Liberty Theater, the fourth oldest theater in Colorado, has been providing small-town cinema experience to visitors and locals alike since 1919. Just 20 minutes west of Pagosa Springs lies Chimney Rock National Monument, once a sacred home of the Ancestral Puebloans of the Chaco Canyon. Take a tour mid-May through September and experience history first hand. Within easy driving distance lies Mesa Verde National Park, another home of the Ancestral Puebloans. 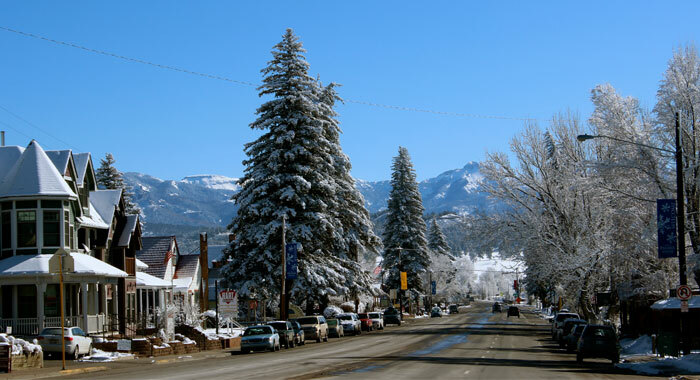 A walk around historic downtown Pagosa Springs provides a window into the past, and the Pagosa Springs History Museum invites you to dig deeper into Pagosa Springs' history through curated exhibits - many of which contain local artifacts, graciously donated by Pagosa area pioneer families. The museum is open mid-May through September. For another tactile experience, head 45 minutes south to Chama, NM and take a ride of the Cumbres and Toltec Scenic Railroad or travel 60 minutes west to Durango for a trip up to Silverton on the Durango & Silverton Narrow Gauge Railroad. Feel the "old west" come alive as you ride in an open-air gondola car listening to a vintage steam engine chuff it's way up the mountain.